Another week to start, another week to conquer. As many of you knows that Monday is the hardest day of the week. We still haven’t move on from our great weekend, and hate to know that we have to do the routine again for the next 5 days. I am also the one that don’t really like Monday. I hate to do the routine and I find that my life is very boring now. I am bored with my environment. And it killing me so much. In order to help me out from the frustration of being bored, I like to try new things. The recently things that I do is joining Blog English Club (BEC). This is the community for those who wants to learn and practice about English, especially writing in English. I did my first challenge and I think I can’t stop. This community makes me want to learn more about English. 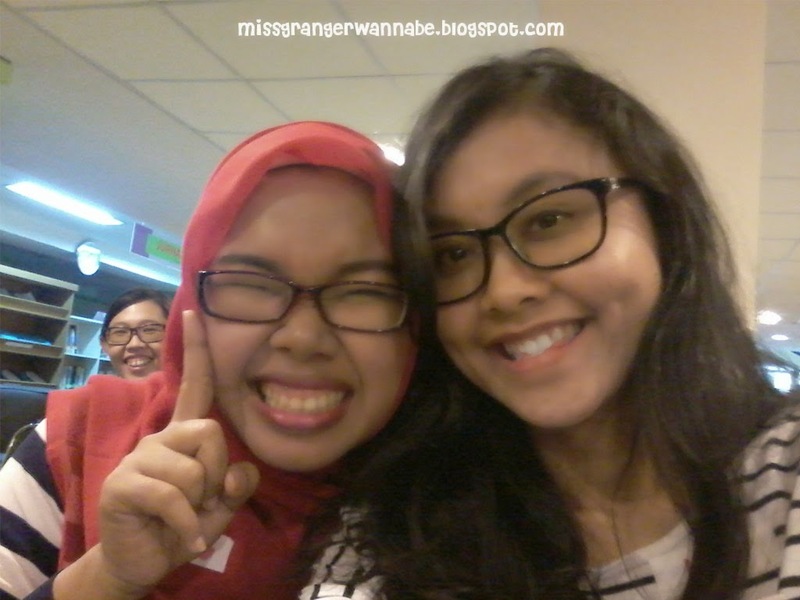 Since we are bloggers (how dare you to claim yourself blogger, Lia hahahaha), we are living separately. Not only Indonesia, but we also have other members from outside Indonesia. That is just great, we shared many things just from writings. 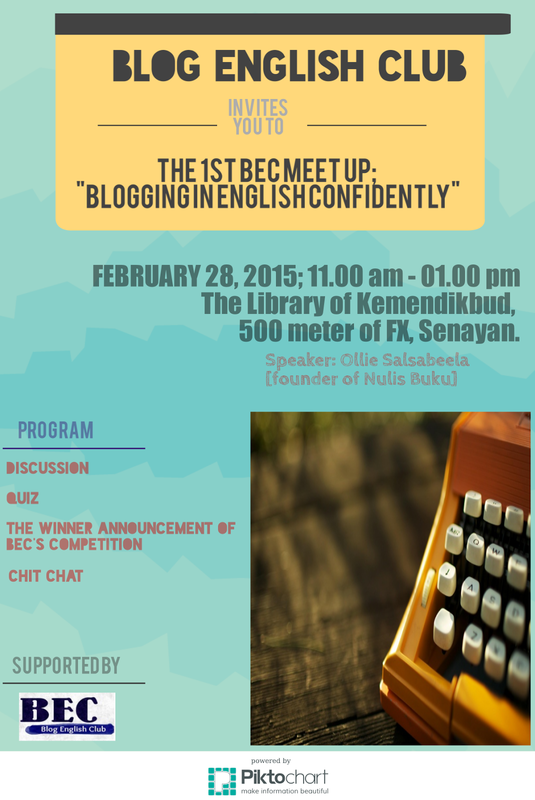 And last Saturday, BEC held their first gathering in The Library of Kemendikbud. Once the admins shared the invitation, I was gladly to say that I am in. I am really looking forward to meet the members in real life. I would like to have a chat and have a really long friendship with them. I know I have problem to join the conversation at first. So I challenged myself to come and meet the members in this first gathering. And it was not so bad. Mas Ryan greeted me first when I came (late! OMG Lia, how dare you to came late >.<). And then I sat next to Mbak Etty who is very funny. At the end of the event I also met Mbak Fajar who is (surprisingly) older than me with her early 20’s years old face, even though I know that my face looks older than hers hehehe. And also Mbak Wanda who shared her story about Britain. Which makes us agree to go backpacking someday yeeeeiy! How about the event? It was great too. I came late so I didn’t know what was the first presentation. And after that there is sharing session from Mbak Ollie Salsabeela. To be honest I didn’t know her at first. After BEC shared the rundown of the events, I researched her name. And OMG, where have you been all the time, Lia? 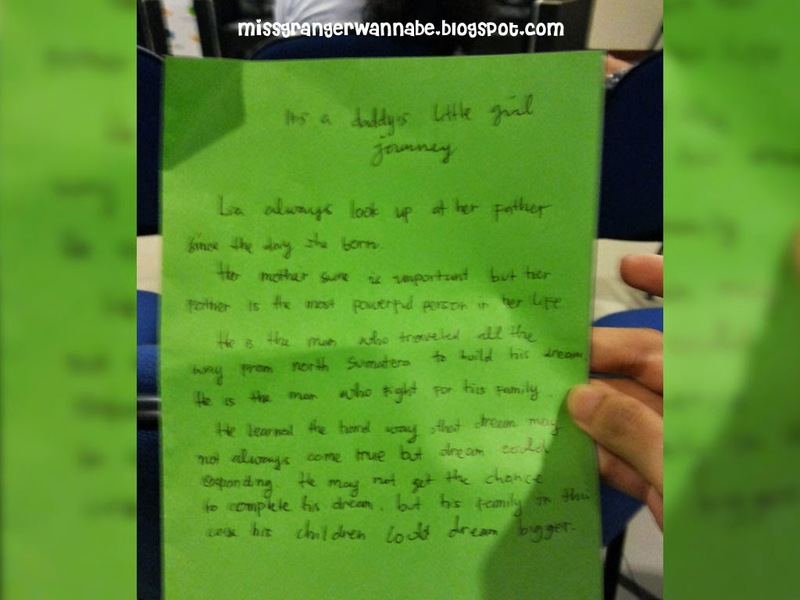 She shared to us how she became successful like today. And how English blog turned her life. 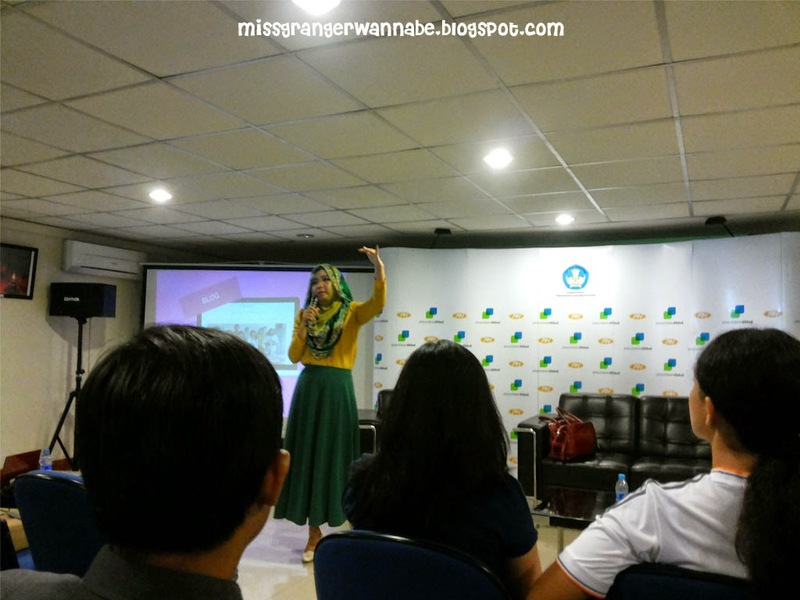 She said that with English blog, she can tell story for other people outside Indonesia about this country. And the answer is no. And then Ollie said that how come people know that you love if you are not showing it. At first she traveled with her own money. She try to made post that look like a good editorial. She made it as good as she can do. And there you go, many invitations came to her. At the last session we also do the writing challenge. Ollie asked us to work in pair and do interview about our partner’s story. I got Mbak Etty as my partner and she told me about her inspiring story about her friend’s parents that is very kind. Her friend’s parents offered her to paid her expenses living when she was at college. This is a miracle since she need it so much and the surprisingly someone offer to her. That was amazing day. I learned a lot. And I gain a lot of friends. I hope there will be another next gathering and I would gladly to come. Aaaak. Haven't managed to post mine! Thank you! Let's have a chat next time! Hi Lia. Thank you for your post. I was standing seeing a highly spirited girl. After saying that she was Lia, the next thing she asked is where can I put my umbrella. I hope you didn't forget about it Lia. I am totally agree with you about Fajar. Wow. I also thought she was around 20s.